We have to confess that the title for this post is actually a blatant lesson on pronunciation. You may not need it as we did, but just in case, we thought we’d tackle the issue head on. For years we thought Simi was pronounced as if it rhymes with Swimmy (the name of our first fish). 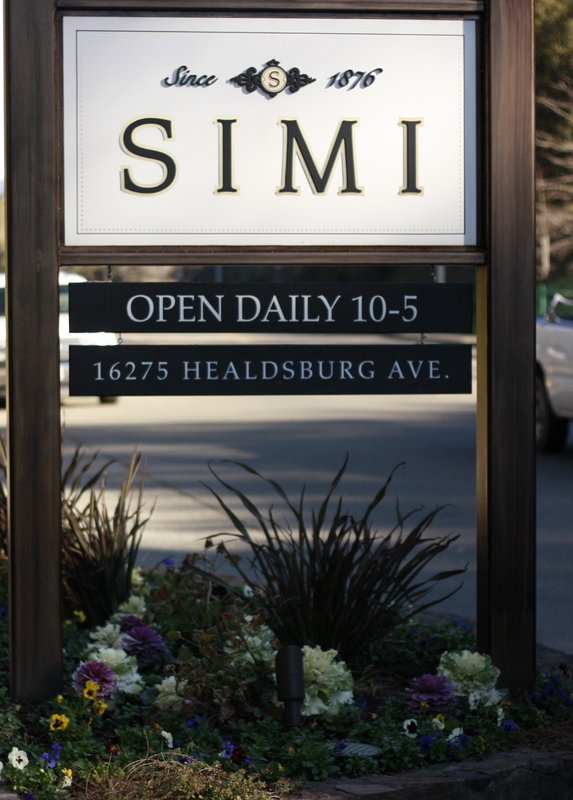 But when we recently visited the winery, we quickly caught on that the proper pronunciation is “See-Me.” We wanted to clear this up in case any of you are similarly mispronouncing the Simi name in wine shops and restaurants around the country. You’re welcome. The thing that charms us most about Simi Winery— in addition to the wide array very good wines they make, of course— is their history. Their stone wine cellars, which stand across a small courtyard from their tasting room, evoke the rustic infancy of the early days of the Sonoma wine region. And the redwoods that tower over you? Well, those were planted in 1934 to celebrate the repeal of Prohibition. Standing under those trees makes you feel literally dwarfed by the passage of time. The winery’s founders— brothers Giuseppe and Pietro Simi— came to the United States from Montepulciano, Italy in 1848, hoping to make their fortune in the California Gold Rush. When gold didn’t pan out for them (bad pun intended), they turned to making wine. Beginning in 1876 in San Francisco, the brothers used grapes from Sonoma County to make their first wines, starting a tradition that continues today. 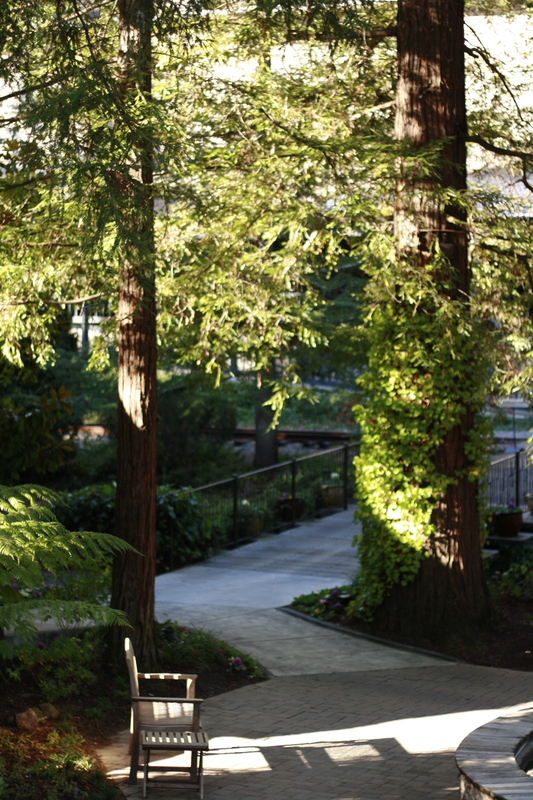 By 1881, they had bought property in Healdsburg and moved operations there. In 1890, they constructed the stone wine cellars that are still in use by the winery. 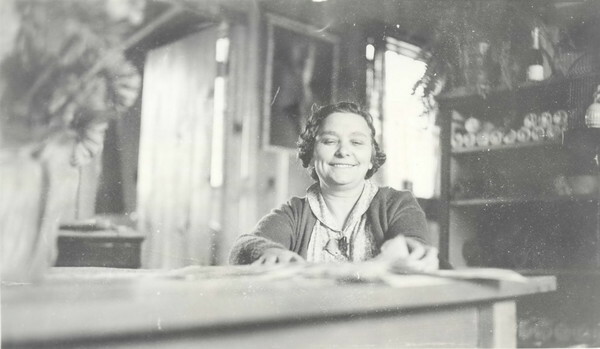 Photo courtesy of Healdsburg Museum and Research Center via Healdsburg Patch article cited below. Isabel in the redwood cask tasting room. 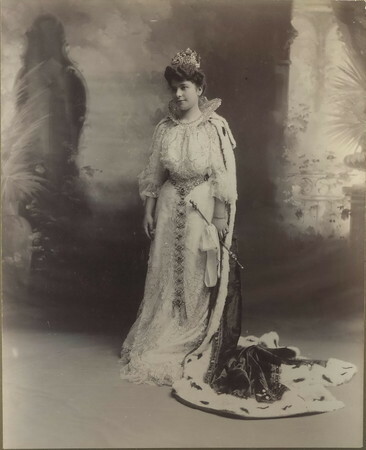 Courtesy of Healdsburg Museum and Research Center via Healdsburg Patch. Isabelle is also responsible for helping pioneer the birth of the wine tasting room in Sonoma, a development for which we (among many) are extremely grateful. She realized early on that the key to selling wine was letting people taste it. So in 1934, she commandeered an empty 25,000 gallon wine cask, placed it in front of the winery’s stone cellars, put a couple of doors on it, and turned it into a tasting room. Thank you, Isabelle! Today, Simi is owned by Constellation Brands, a gigantic company that owns over 100 wine, beer and spirit brands. The case production of just one of Simi’s biggest wine releases is something on the order of 30 to 50 times larger than the total annual production of many our favorite, family-owned “little guys” of the wine industry. 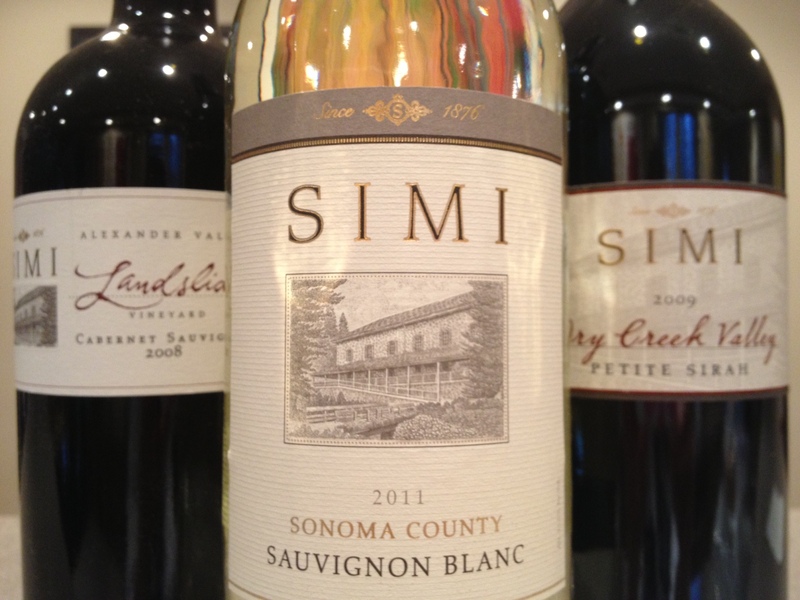 For instance, Simi’s 2010 Sonoma County Chardonnay was a 150,000 case release. The bonus of their large size is that Simi wines are very easy to find on retail shelves across the country, unlike many of the wines about which we typically write. And with prices ranging from $15 to $35 a bottle for the majority of their wines, they offer some affordable options while maintaining high quality across the board. In addition, we sampled a number of their very limited production releases, including: 2011 Russian River Valley Reserve Pinot Noir (balanced elegant); 2009 Dry Creek Valley Zinfandel (91% Zin, 9% Petite Sirah, dark cherries with hints of roasted coffee); 2009 Alexander Valley Block No. 4 Cabernet Franc (dense, dark muscular wine. Blackberry flavors with chocolate notes and pleasant tannins on finish); 2007 Alexander Valley Reserve Cabernet Sauvignon (100% Cab, lots of dark fruit with hints of cedar); 2009 Dry Creek Valley Petite Sirah (100% Petite Sirah, dense purple “stain your teeth” good. Black cherry, pepper and a touch of herbs). If you can believe it, even after trying all these wines, we still hadn’t sampled everything they make! 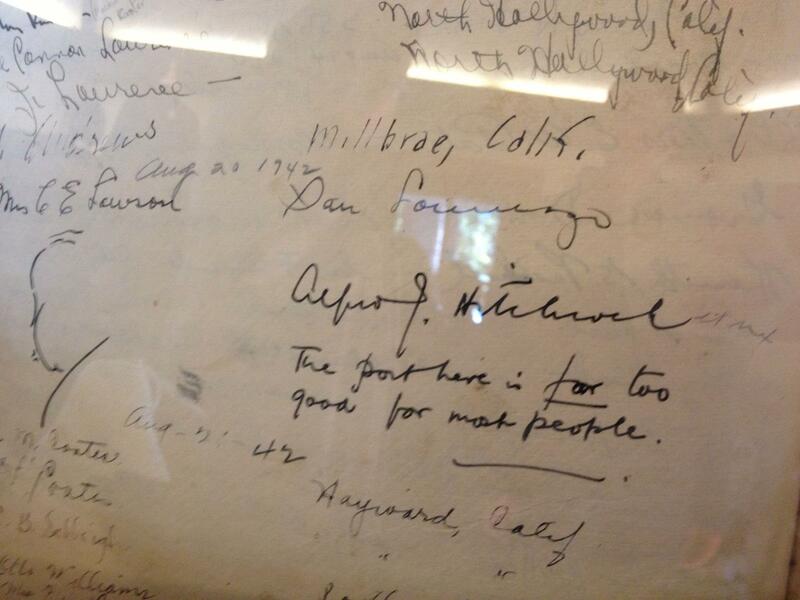 As we left the tasting room, we were charmed to find some historic artifacts on display, including a guest book in which Alfred Hitchcock signed his name along with the note: “The port here is far too good for most people.” Being big Hitchcock fans and history lovers, it was a delightful way to end our visit. So this week, we raise our glasses to appreciating history, to the pioneers who paved the way for all that we enjoy today, to gutsy women like Isabelle who are ahead of their time, and to proper pronunciation whenever possible. Salute! For this post, we found the following two articles to be enormously helpful, as well as very entertaining. They are the source of many of the details find you find here. Highly recommended for those interested in further reading. Great to see the Kitten back at the keyboard! Great post as always! Love their sense of fun! Awesome. Thanks, TDC. We admire how prolific you are. You’re are cranking out great posts all the time. Wish we could keep up! Love their wine and as always, the Kitten posts. Had an excellent Cakebread Chardonnay tonite at the place where I am now working. A very generous pour and at $95 a bottle felt blessed to enjoy it for $9 a glass. Helps to have connections! sounds like you found the perfect job! miss you! hope to sip with you before too long. writing from Belize – nothing to do with wine on this end of things, but did want to comment on new graphic identity and logo – like it – sharp icon. kind of miss the soft fuzzy kitten. but change is good :) luv u all at the TK! Yes, we are experimenting with a new Kitten look, but I have to admit I miss the cute little kitten, too! We’ll see if it finds its way discretely somewhere in the new Kitten look or not. As you say, change is good. : ) Thinking of you on your Belize adventure. lots of luv back atcha!